YAMAHA has retained the proven chassis and engine combination in the 2019 edition of its XMAX 300 scooter, introducing a sleek new matte silver colour scheme for its versatile urban jungle commuter. It’s also kept the outstanding price from 2018, at $6,999 plus on-roads. The XMAX 300 features motorcycle-type forks and a large 15-inch front wheel (14-inch rear), combined with a compact chassis. The setup provides this Max family scooter with agile sports handling, while retaining the business-class level of comfort XMAX 300 owners expect. 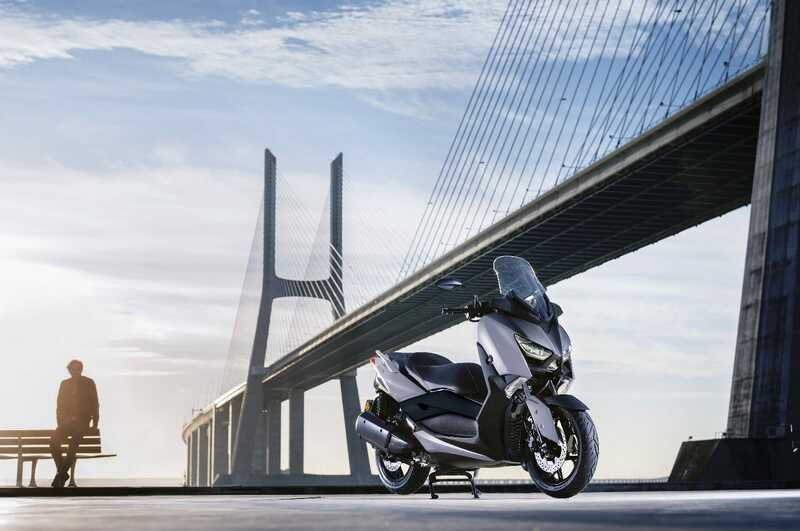 The powerful and efficient liquid-cooled, single-cylinder 292cc Blue Core engine is matched to a twist-and-go V-Belt automatic transmission, offering the level of performance required for effortless commuting or a weekend escape. Standard XMAX 300 safety features include ABS and traction control, as well as the convenience and security of smart key-less ignition. There’s also generous under seat storage that’s roomy enough to hold two full-face helmets or a heap of weekly groceries.